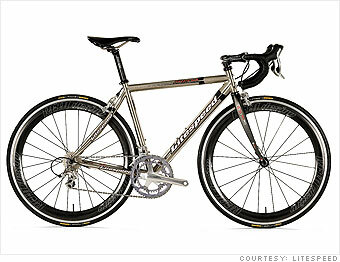 Finally, I rolled out my Litespeed Siena road bike ($4,000) to compare against the other commuting options. While the Siena's titanium frame doesn't fold up or power up, the bike was lighter, more responsive on hills, and much more engaging to ride than its rivals. Other Team Trusera members reported similar results when they returned to their road bikes. BOTTOM LINE: The Ecobike Elegance makes a fine alternative for short commutes and errands. The Dahon Matrix's appealing design made me feel I was riding a true 21st-century bike. But if you have access to shower facilities near work or a straight-line commute without too many hills, you can't beat a classic road bike like my Litespeed Siena. Still, with gasoline at budget-busting prices, all these options seem like a good deal compared with four wheels.